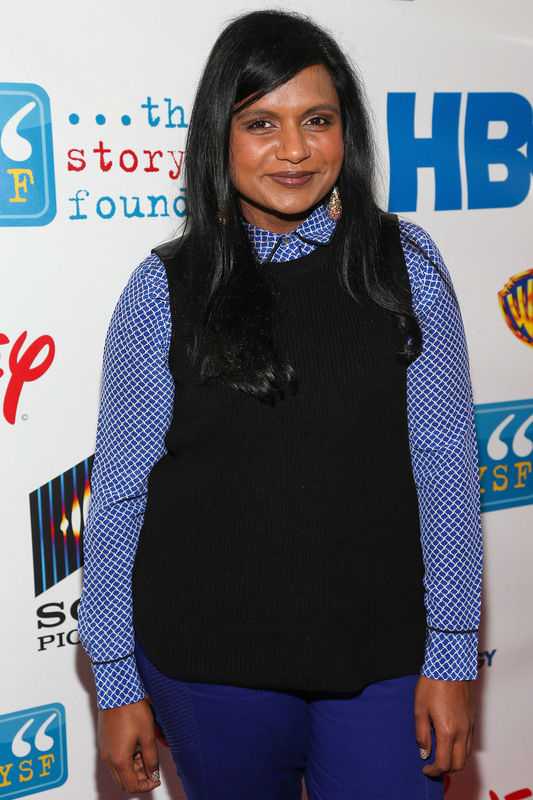 Mindy Kaling took on politics and race in this week's installment of The Mindy Project, aptly titled "Mindy Lahiri is a Racist." For the most part, the show managed to remain silly and entertaining while taking on the many criticisms of the lack of main characters of color and Mindy's purely white love interests. The omission of some guilt was evidenced by the title, which might make it better than SNL's terrible non-apology for excluding African American women from the get-go. The actual episode, however, is much more complex. Not to belabor the SNL cold open too much, but there are some key similarities between this response to critiques of racial representation and Mindy's. For instance, prior to Kerry Washington's episode, Lorne Michaels and Keenan Thompson responded to many critics who felt (and currently feel) that the cast needs more women of color, especially African American women. Similarly, Jezebel criticized Mindy Kaling for only including straight white men as love interests on her show at the end of the first season, and The Frisky found fault with the many questionable racial jokes in the show's pilot. Now that we are in the second season, and Mindy's too-cool-for-school brother Rishi has left the show, there have been additional white male love interests, and a dearth of developed characters of color. To respond to this, this week's episode followed the doctors on a quest to prove they are not racists (after accidentally being featured by a white supremacist mommy-blogger), and along the way, they prove the old adage: everyone on The Mindy Project's a little racist. Some of the jokes are a bit cringeworthy, but self-consciously so. Daniel's assertion that he had four black friends growing up, Mindy's thinly-veiled "black jokes," and the offhand references to apartheid are just a few. The delivery of these jokes, however, is very clever, since many of them occur in front of an audience of pro-equality protestors that boo cast members off a stage. The true apology, comes, though, when Mindy realizes that she has been condescending to Tamra — her head nurse and the only other developed character of color — then apologizes to her. The problem with this apology is that it is short-lived. Minutes after Mindy realizes how she condescends to her employees, she responds to Tamra's request for a promotion by saying, "No, you're the nurse. Go back upstairs, you've wasted a lot of our time." I know that this is just a one-liner consistent with Mindy's offensive-but-fast style of humor, but it feels like a rejection of her earlier apology. The Mindy Project got it right, however, when they introduced a partnership with a new character: an African American congressional candidate for their district named Tracey Whitfield. This reads much more like an attempt at reparations than SNL's cold-open crawler declaring that they would add more cast members of color "unless we fall in love with another white guy first." But once again they strike out by, instead of introducing Whitfield as a possible love interest for Mindy, dismiss his possibility as a candidate by saying that he is "dating Tyra." So, it appears that Mindy will be falling in love with another white guy herself. Mindy Kaling knew that this episode would offend some, and delight others, since she tweeted just before the west coast release that "this one might offend people, but in a good way where we learn from it." From the mixed messages of the episode, I have to wonder, what have we learned?